Dr. Sadhna Singh graduated from medical college in India, 1983. She has	practiced medicine for over 10 years in the fields of obstetrics, gynecology	and internal medicine. She completed her Masters in Acupuncture and Oriental	Medicine in Houston. With her vast background in both western and eastern	medicine and her compassion and concern for patients, she is is dedicated	to providing effective, comprehensive and exceptional care. Dr. Singh is a Fellow of the American Board of Reproductive Medicine (ABORM)	and, currently serves on the governing board. She is a professional member	of Resolve-The National Infertility Association & The American Society	of Reproductive Medicine. She has interned with Randine Lewis (author	of The Infertility Cure) at several Fertility Retreats and is a charter	member of the Fertile Soul Clinical Excellence in Fertility program. She has lectured extensively for acupuncture practitioners at continuing	education seminars and annual symposiums, the Southwest Symposium Austin	2008 and 2009: AAAOM (American association of Acupuncture and Oriental	Medicine) in Chicago and Albuquerque 2009 and 2010. 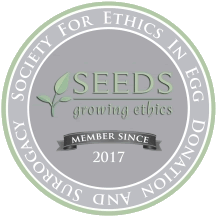 Sadhna has also co-taught	seminars with Dr Randine Lewis for acupuncturists specializing in fertility	over the last few years in Austin, Houston and Denver. Sadhna is currently	pursuing her DAOM (Doctorate in Acupuncture and Oriental Medicine) at	Amerucan College of Traditional Chinese Medicine in San Francisco. This	program specializes in TCM (Traditional Chinese Medicine) for Gynecology	and Pain Management. Click Here for a listing of Dr. Singh’s talks and seminars. Dr. Singh holds a Doctorate in Traditional Oriental Medicine with an emphasis	in Women’s health from American College of Traditional Chinese medicine	(ACTCM). The degree of Doctor of Acupuncture and Oriental Medicine (DAOM)	is a newly accredited, advanced doctorate degree for licensed acupuncturists. 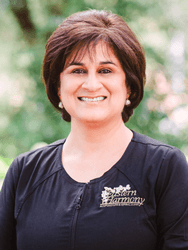 Sadhna is one of the select few Doctorates of Acupuncture in the US and	is considered a specialist in the area of women’s health related matters,	including fertility enhancement. Dr. Singh is also President Emeritus of the Complementary and Alternative	Medicine Special Interest Group – CAM SIG for the American Society of	Reproductive Medicine (ASRM).